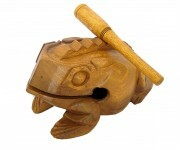 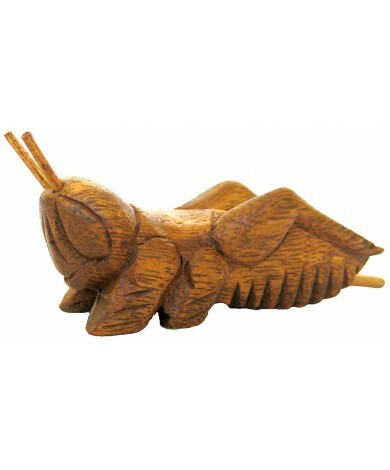 The 4" Light Wood Colored - Wooden Chirping Cricket - is another one of our hand carved wood "noise making" items. 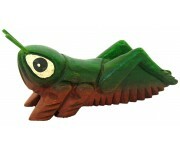 Stroke this insects belly and it sounds like a real chirping Cricket! 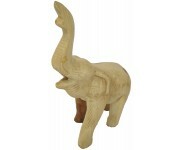 A great conversational or decorative piece for your home or office. 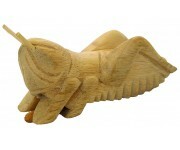 The craftsmanship that goes into our handmade art and wood crickets is the finest available. 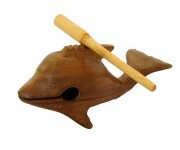 They are all made in an Eco-Friendly / Fairly Traded work environment in Thailand. 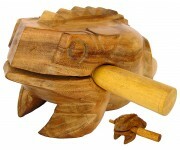 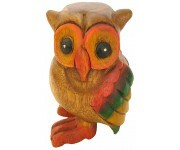 We have a lot more musical animals in our large inventory of hand-carved wooden products, including our Musical Croaking Frogs, Spotted Musical Croaking Frogs, Turtle Noise Makers, Oinking Pigs, Purring Cats, Whistling Clicking Dolphins, Hooting Owls, Screaming Monkeys and Trumpeting Elephants -- all in a variety of sizes and colors. 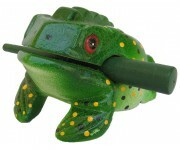 Please take a look at our online catalog that includes all of our items (that are not yet on our new web site) by clicking here.